About – Penn United Force F.C. 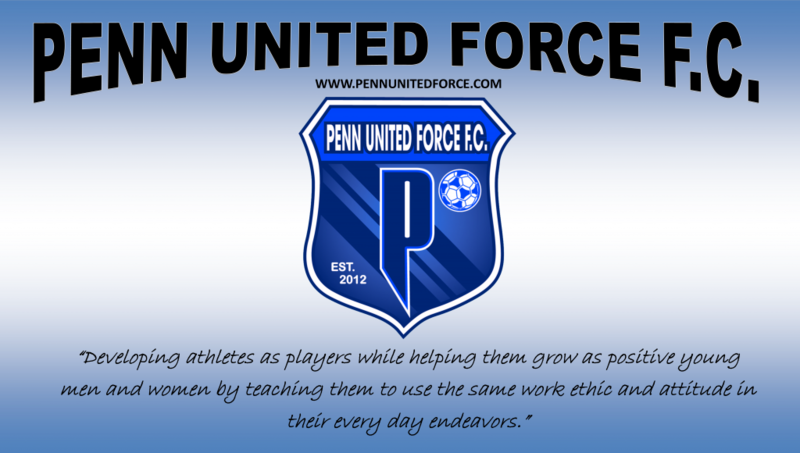 The Penn United Force soccer club was established to create a positive and intense atmosphere for every player to develop physically, tactically, and emotionally. All coaches, managers, and staff will work cohesively to make sure each and every athlete is exposed to high level training in order to reach their maximum potential. In addition, our goal is not only to develop our athletes as players, but help them grow as positive young men and women by teaching them to use the same work ethic and attitude in their every day endeavors. Our club is a non-profit organization which puts the kids “first” and we will work together, staff and parents, to give each and every player a positive and hopefully life changing experience through the game of soccer.